2011 end of year pass percentage: 98.64%. Students with aggregate 85 % above: 61%. 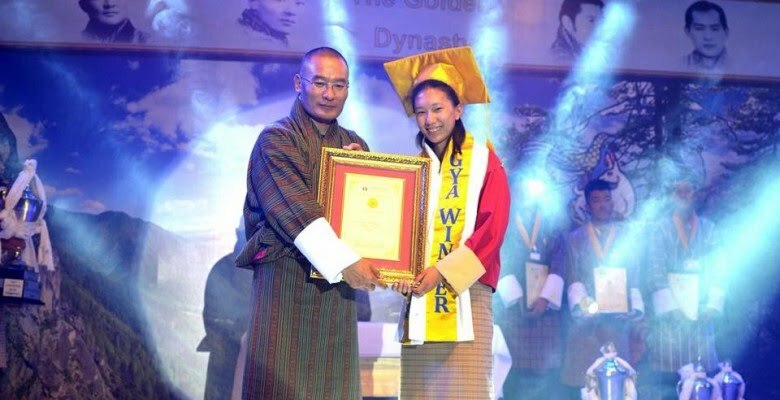 Adjudged one of the TOP TEN Schools in Bhutan by Ministry of Education for the years 2010, 2011 and 2012. Ranked First amongst all the 571 schools in the country. Adjudged as the Best School Performance in Science and Mathematics in the Students Learning Assessment conducted by Royal Education Council in 2008, 2009 ,2010 and 2011. Adjudged as the best team of teachers in overall performance in the Teachers Needs Assessment conducted by Royal Education Council in 2008 and 2011. Additional subject of Science in Class III level. Day Boarding Programme( 3.15pm-7.00pm) for High Achievers as well as low achievers. Free Internet Service For One Year!! Druk School is honored to be in the Top Ten Schools in the country once again in 2017 , taking the third rank . The Certificate and a cash award of Nu. 5000 , which was institutionalized only with 2017 result , was officially handed over to the Principal by Mr. Ugyen Thinley, from Evaluation and Monitoring Division,Ministry of Education during the morning assembly on 19 th March, 2018. Druk School congratulates the BCSE Cohort Of 2017, their parents, the Subject Teachers and the Administration Team for the excellent input. KInley Yangden of class X Won the 11th Golden Youth Award Camp, 2018. It's no surprise for us Drukains that she took away the winner's trophy drubbing all the best participants from across the Dzongkhag. We are proud of your achievement!